We pride ourselves on our quality and affordability, especially as we create completely bespoke and totally handcrafted replicas. 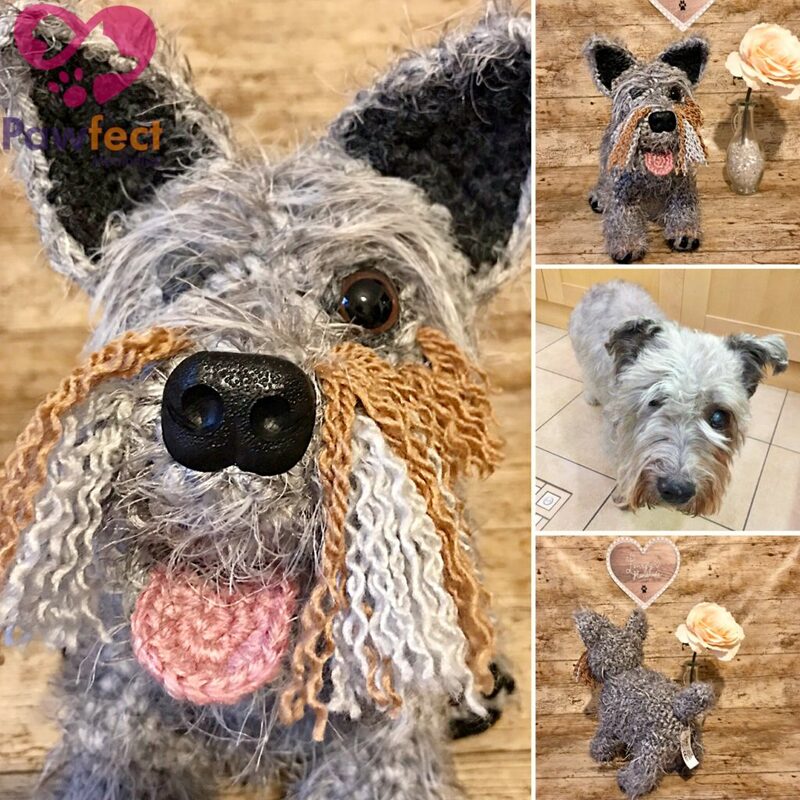 Each Pawfect Memories plush preserves precious memories of the love you have with your furry family member, and at prices starting at just £120 for a standard full plush and we post worldwide… so what are you waiting for? Order yours today! 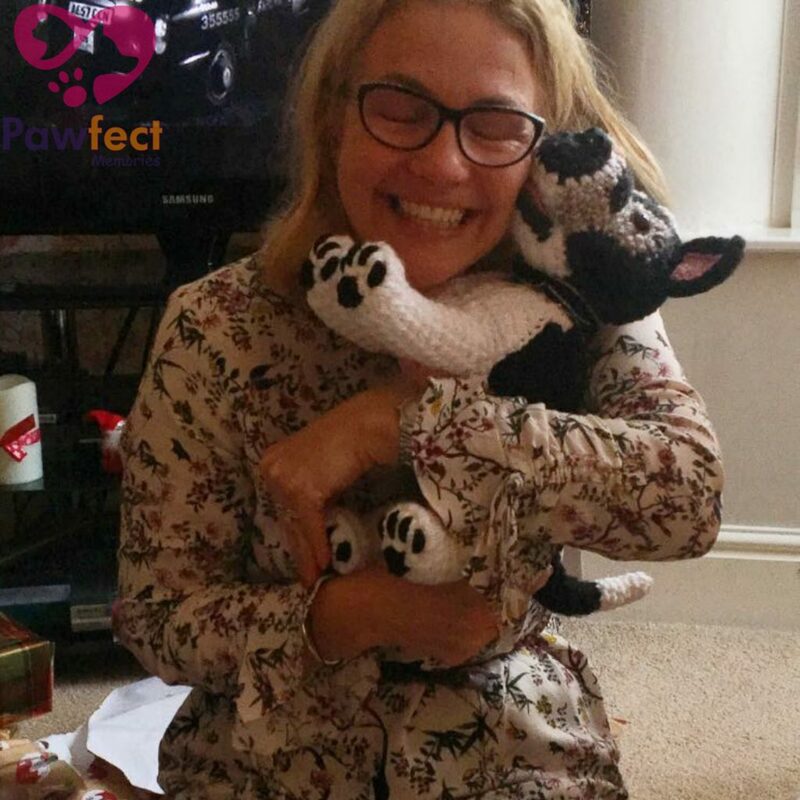 So which Pawfect Memories plush is right for you? The standard plush is our starting point for a full body plush. That is the normal 8-12” replica we make. This will be full sized, with all the character and look of your beloved pet. We also offer a special keepsake version. This is £150. This option has a secret pouch on the belly which you can put either a small amount of ashes or fur, or just keep photographs. This also comes with a special handmade collar with the pets name and a memorial tag, and a poem. Finally we offer memorial plushies which include your pets ashes after cremation and begin at £200. They are guaranteed to be made within 7 days of receipt of your pets ashes. These also come with the collar and poem and are obviously bigger than the standard plush size as it would be created specifically around the ashes, with other parts scaled to the containing body accordingly. These not what you’re looking for? 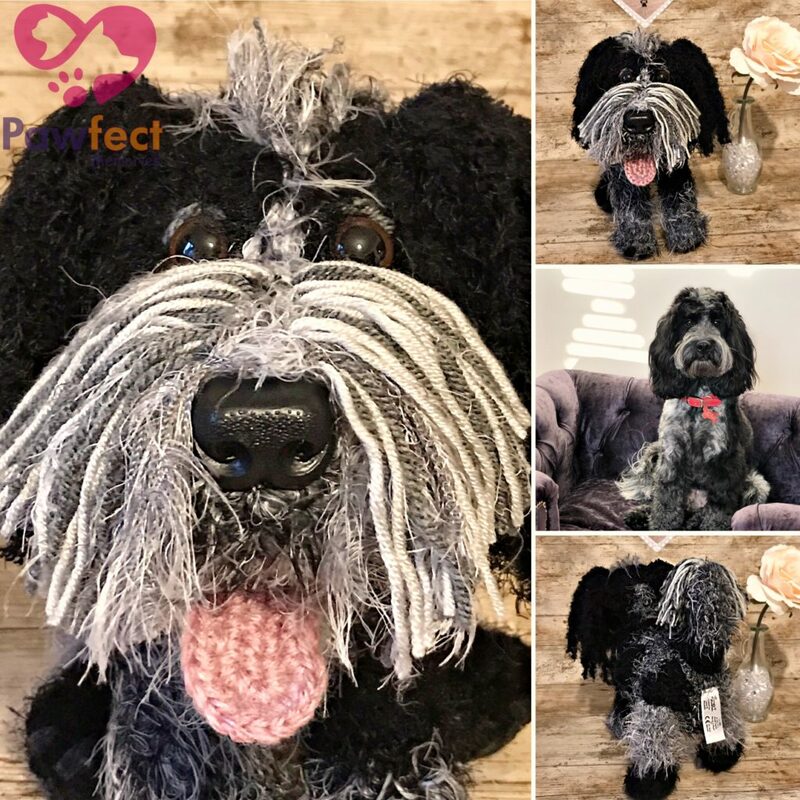 We also make individual Pawfect Memories plushies of your pet’s head – the cutest bit! 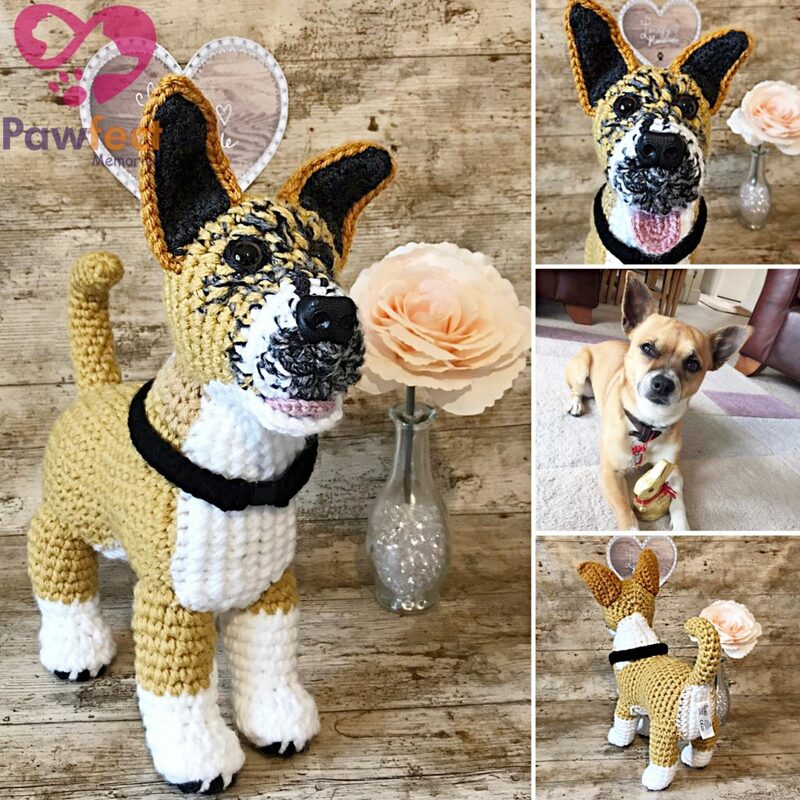 These are priced at just £40-£65 depending on their size and offer an extremely affordable way to own your very own Pawfect Memories replica! You could also create a custom order request if you’re looking for something unusual and would like to speak with us to discuss your requirements. I want to order! What next? Place your order and upload your photographs then we will make a gorgeous forever version of them from the finest yarns. No pet is too big or small, from all breeds of dogs and cats or even horses and parrots… we love making them all! 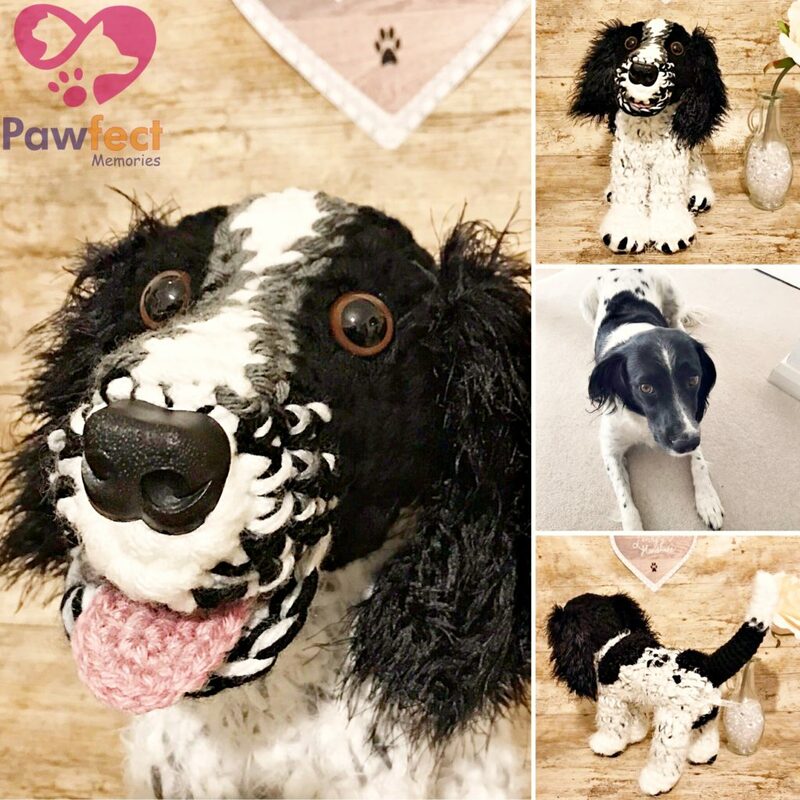 With over 350 creations made so far please browse through our gallery page to see more of our creations and grab your own beloved Pawfect Memories Plush today in our shop!